OK, after a diversion into hunter-gatherer lipid profiles I’m back on the original goal of this series: trying to understand why serum cholesterol is protective against infections — and considering whether or under what circumstances that knowledge should affect how we eat. In part I (Blood Lipids and Infectious Disease, Part I, Jun 21, 2011), we learned that mortality from infectious disease is essentially zero as long as serum cholesterol remains in the physiologically normal range of 200 to 240 mg/dl, and rises precipitously as serum cholesterol falls below 180 mg/dl. Why is that? In a previous post we found that HDL has important immune functions (HDL and Immunity, April 12, 2011). Today, we’ll look at the immune functions of lipoproteins more generally. In understanding why these particles have immune functions, it may be helpful to understand the thrust of evolution. By the time of the Cambrian explosion 530 million years ago, organisms had similar numbers of genes to organisms today, and most of these genes must have been similar in sequence to their modern descendants. We know this because their descendant genes in nearly all modern species are “homologous” and share nucleotide sequences. So for the last 500 million years, evolution has not been adding genes or even changing genes dramatically. It’s been tweaking a fairly stable genome. And the direction of the tweaking has been toward making the genes interact in a wider and more complex number of ways with the other genes. The effect is to give every molecule in the body a diversity of functions. Possibly serum lipoprotein particles started out merely as transporters. But they developed new functions. The most important additional functions were roles in immunity. Because these particles circulate in the blood, and pathogens have to transit the blood in order to cause tissue infections, blood is the natural location for the strongest defenses against pathogens. For hundreds of millions of years, every blood component will have been under selective pressure to develop immune functions. It’s commonly said that the primary function of LDL and HDL is lipid transport. But this is too narrow a view. Since pathogens are the primary cause of disease, it may be the immune functions of LDL and HDL which account for their significance as biomarkers of health and disease. Most of the following discussion will draw from a recent review, “Plasma lipoproteins are important components of the immune system” . References from this paper will be listed in parentheses, eg (1). Prevent bacterial, viral, and parasitic infections. Detoxify pathogen “die-off” toxins and protect against pathogen toxin-induced tissue damage. Present pathogen “die-off” toxins to the immune system to trigger antibody formation. When a pathogen dies, it typically fragments and releases compounds which are toxic to humans. Such “die-off” toxins include lipopolysaccharides (LPS) and lipooligosaccharides (LOS) from Gram-negative bacteria, lipoteichoic acid (LTA) from Gram-positive bacteria, fungal cell wall components, and so on. During infection, the number of such circulating toxins can be vastly larger than the number of pathogens. Such toxins can do a great deal of harm, and often account for most of the ill effects of disease. Medical researchers studying the often-fatal condition of sepsis commonly induce nearly all the characteristics of sepsis in animals merely by injecting LPS. VLDL, LDL, lipoprotein(a) and HDL can all detoxify LPS and LTA; HDL is the most potent (2, 4, 5). Injecting reconstituted HDL (rHDL) into humans relieves endotoxemia (6) and LPS-induced inflammation in cirrhosis patients (7). Both LDL and HDL detoxify E. coli LPS (35). LDL binds and inactivates some toxins, including Staphylococcus aureus ?-toxin (8), Yersinia pestis topH6-Ag (30). (Methicillin-resistant S. aureus, or MRSA, is an increasing cause of death in hospitals, and last year claimed my next-door neighbor. See The FDA Is On The Side of the Microbes, Aug 11, 2010). LDL probably works against many other toxins too, since rats with low LDL have higher mortality when infected, but the mortality can be lessened with injections of human LDL (9). Injections of LDL prevent lethality in Vibrio vulnificus infections of mice (34). In mice with the LDL receptor knocked out, LDL concentrations in blood are higher and there is enhanced immunity to Klebsiella pneumoniae (27) and Salmonella typhimurium (29). If the gene for apoE, a protein found in IDL which upregulates VLDL levels, is knocked out, mice become more susceptible to infection, so it appears that apoE also has immune functions (28). Mice lacking apoE are susceptible to Listeria monocytogenes (32) and Mycobacterium tuberculosis (33). Lipoproteins may be even more important against viruses. HDL has a broad antiviral activity (18-20), and can prevent many virus species including influenza and hepatitis C from entering cells. VLDL and LDL have specific activity against certain types of virus including togaviruses and rhabdoviruses (3). Trypanosoma brucei, the parasite that causes sleeping sickness, does not always cause disease in humans because a subspecies can be destroyed by a subfraction of HDL particles which include haptoglobin-related protein and apolipoprotein L-I (10). Evolution has a way of turning lemons into lemonade, and fragile molecules into sensors. In the book we discuss how the body uses fragile polyunsaturated fats as signaling molecules, exploiting their proclivity to oxidize. Something similar happens with LDL. LDL particles are fragile and easily oxidized. The body uses them as a sensor of infections, and as signaling molecules that control the response to infections. For instance, LPS (an endotoxin) induces neutrophils to adhere to endothelial cells, promoting vascular inflammation. LPS also oxidizes LDL, creating a compound called oxPAPC which inhibits neutrophil adhesion to endothelial cells, thereby limiting the inflammatory response (12). Minimally oxidized LDL detoxifies LPS (13). OxLDL is taken in not by the LDL receptor, but by receptors on immune cells called macrophages. When macrophages take up oxLDL they upregulate their scavenger receptors (classes A and E) by which they phagocytose (eat) bacteria and clear endotoxins (39). It has been shown that infection causes an increase in oxidation of LDL and that the resulting oxLDL promotes phagocytosis by macrophages of the specific pathogens which oxidized the LDL (42). This may explain why atherosclerotic lesions contain large amounts of bacterial and viral DNA. Macrophages in these lesions have been stimulated by oxLDL to scavenge bacteria and viruses from the blood. OxLDL stimulates antibody formation, including antibodies against phosphorylcholine (PC), a compound found on a wide range of pathogens including bacteria, parasites, and fungi (45-49). Anti-PC antibodies help to prevent upper airway infections (50-53). It is thought that oxidation of LDL is an important part of the host defense to infections. OxLDL inhibits cell entry of hepatitis C (59) and Plasmodium sporozite (60). Lp(a) is essentially an LDL particle with an extra apo(a) molecule bound to the apoB100 molecule by a disulfide bridge. Some insight into the immune functions of Lp(a) developed after considering the role of plasminogen. Many pathogens recruit human plasminogen and use it to penetrate tissue barriers, enabling them to invade tissue (70, 71, 72). For instance, group A streptococcus releases an enzyme called streptokinase that activates human plasminogen and promotes invasion (73). Lp(a) has anti-fibrinolytic activity and recruits plasminogen itself, reducing availability for pathogens. For instance, Lp(a) blocks streptokinase activity (75), inhibits Staphylococcus aureus activation of plasminogen. Moreover, Lp(a) inhibits the inflammatory response to LPS. As there is great variation in Lp(a) levels among individuals (76), this may account for variability in inflammatory response to infections. HDL may promote fungal infections. A recent study found that infusion of reconstituted HDL enhances the growth of Candida (25). LDL also seems to promote fungal infections. In LDL receptor knockout mice, which have high levels of LDL, there is decreased resistance to Candida (37, 38). OxLDL also loses its normal anti-infective role against Candida. Worse, it inhibits production of antibodies against Candida albicans (63), thus actually hurting anti-fungal immunity. Candida is an unusual pathogen that is unusually well-adapted to living in the human body. It has learned to turn an important part of human immune defense to its own advantage. High serum cholesterol protects against a host of bacterial and viral infections and some parasites, but increases risk for Candida fungal infections. Han R. Plasma lipoproteins are important components of the immune system. Microbiol Immunol. 2010 Apr;54(4):246-53. http://pmid.us/20377753. Thanks, Paul. I appreciate the feedback. I was planning on adding back the liver, Copper when out of liver, and then supplementing, Iodine, Selenium, Vitamin C, and vitamin K. I get a lot of natural D here in San Diego. Anything else stand out that I should add. Also, I know it’s incredibly variable, but would a couple months allow for enough time to start noticing defficiency corrections? A few months is usually enough. I would look over our “essential” and “therapeutic” supplement list, and also google your symptoms looking for vitamin or mineral deficiencies that might cause any of them. B12 and folate, for instance. For folate natural sources like liver and spinach are best. Another one to look at is copper deficiency. Copper is needed for iron transport, and copper deficiency induces anemia in the presence of iron, low red blood cell counts, and myelodysplasia (http://en.wikipedia.org/wiki/Copper_deficiency, http://en.wikipedia.org/wiki/Myelodysplasia). But I wouldn’t restrict myself to specific nutrients. Rather, I’d try to get all nutrients into our “plateau ranges.” You don’t really know what may be contributing, and there may be complex interactions among multiple deficiencies. I appreciate the advice, and will keep you posted. Paul– what do you think of the term “die off”? Bee over at Healing Naturally by Bee, says that the term die off was made up by the medical industry in order to make us believe antibiotics kill off bacteria. I think it’s a great term. I use it. Descriptive and accurate. The immune system kills bacteria but antibiotics can substantially increase the number that are killed, since via protein synthesis inhibition they prevent bacteria from defending themselves or hiding themselves from the immune system. Also, some antimicrobials are directly “cidal”, ie they do kill directly. Antifungals and some antibiotics like metronidazole fall in this category. When a pathogen dies it gets lysed into millions of individual toxic fragments, so there are very often “die off” effects from aggressive antimicrobial treatment. Chris (and others) believe that my high-ish trigs are likely the result of not fasting for the VAP test (I was told I did not have to). I don’t have any infections that I know of, and for the most part, I feel great other than occassional heartburn, which I have been battling since I went low carb back in Aug of last year. It’s much better now than it was late 2010. I think I am most concerned about my weak HDL score. As Chris M says in his answer on that thread, my HDL is quite low and is likely the reason why my LDL is more pattern B than pattern A. The odd thing is I get a good amount of coconut oil, eggs, and dairy fat (not as much since this test, but I had been eating lots of butter and cream since the lipid panel). I will check out 23andMe. I think “ish” is an important moderator on your TGs. I feel pretty confident that a fasting value of 120 is ok, and I’m inclined to accept the lab reference range as <150 being ok. But you weren't fasting. The people who told you that you didn't have to fast need to seriously rethink their position. Even if we were interested in postprandial values, since the meal affects the parameter, the only way to compare an individual to a reference range is to give everyone being compared a standardized test meal. To clarify one point, I don't think your HDL value is causing your LDL particle size. I think your total-to-HDL-C ratio is very high, and this, as well as small LDL, can both be seen as markers for low LDL receptor activity, which is one reason I suspect they correlate with one another in the general population. If you weren’t fasting then I’m not worried about the trigs. Low HDL – in the absence of any health problems it’s not obvious that we should be concerned. HDL of 40 occurs so frequently that it may have many possible causes, and the cause in your case may be very hard to track down. Candida does lower HDL, can cause heartburn, and gets worse on low carb. So that’s one possibility. I would suspect that could account for up to 10 mg/dl. If your heartburn is getting better I wouldn’t worry, just keep doing what you’re doing. I suspect HDL will gradually improve. Makes sense. I don’t know anything at all about variations in LDL receptor activity, will you be posting on that? Just read your response on PaleoHacks, that was great: http://paleohacks.com/questions/50347/hack-jack-kronks-vap-test-results/51004#51004. Another thing that can also cause anemia, heartburn, low HDL, high LDL and total cholesterol is hypothyroidism. Thank you for explaining how one might become exposed to Candida. After having vitually no problem with eating greek yogurt and dairy, I suddenly developed an intolerance to both, with almost immediate forced trips to the bathroom. I’ve had unusual ongoing joint pain in one finger on each hand, but I attributed that to lots of golf. I realized after reading your thoughts on Candida that I had also just been exposed to it via saliva. It is relevant to note that I have had life long reactions to other foods (e.g. gluten, MSG), so I can’t claim to have perfect gut flora in the first place. I don’t really think I have Candida, but I do wonder what caused the change and wonder if my immune system was doing battle with a pathogen. I’m just getting to where I can eat greek yogurt again and my taste for milk is coming back. Like many others, I’m particularly enjoying your recent posts on blood lipids (the baby post is fascinating). Yes, I’ll be posting on regulation of the LDL receptor relatively soon. Hi, sorry for the stupid question, but how do you klick to read the references? Only one is shown in my window. Thanks for this interesting post on apolipoproteins role in immunity! 🙂 Do you then think atherosclerosis is a normal physical reaction, the price we have to pay for fighting down infections? Sorry, all the references in parentheses are references from the one paper I cited. If I get time I will pull out a list and update the post. Atherosclerosis is somewhat complicated. I think both diet and infections play a role. You can injure your blood vessels without an infection via bad diet, but you won’t have heart attacks, strokes, or fatal complications unless you also have infections. I will blog about atherosclerosis and vascular disease at some point, but I’ll spend most of this year on chronic infections, cancer, and related diseases. Thanks for your additional thoughts. I will be looking forward to your writings on LDL receptor activity. Since that is not written yet, and I don’t know much about it, is this something that I should be concerned about? Or I guess another way to ask is… do you suspect that I would need to take some steps to improve or alter my LDL receptor activity? That’s interesting about Candida. How can I check for that? I’ve never really been concerned that I might have Candida, but then again, sometimes symptoms that I just ‘accept’ as a part of life go unrecognized if not handled. Yah Chris M mentioned the possibility of a connection to thyroid function. Like Candida, I’ve never been particularly on the lookout for that, although, after reading multiple writeups from Kresser and some on the WAPF site about Iodine, I did purchase a bottle of KAL kelp tablets (225mcg) and was taking those for about 3 weeks and then stopped because I just wasn’t sure if I needed them. That was back in March or something. But I have no idea if I have a thyroid problem. Doc has never told me I do, but we all know that story. I look forward to your series on Candida! Gluten free, then specific carbohydrate diet improved my gut symptoms, but acne and dandruff persisted. Later, low carb and IF improved acne significantly though not entirely. Very low carbs was causing other problems (like body odor) so I tried lowering protein and upping carbs as per PHD. Very pleased to find that safe starches did not cause acne or gut problems, despite not being SCD approved. Very bummed to find that fruit definitely causes acne flareups. Over time I’ve found that nuts, chocolate (even 100% cacao), fruits and yogurt (my only dairy is butter, cheese and yogurt) all cause acne flare ups. These are things I’d like to enjoy in moderation one day. Thanks for all the hard work! I’ve read a lot of books and tried a lot of diets and the Perfect Health Diet is definitely the best yet! Certainly your early history sounds like Candida. Actually rather similar to mine – I had ear infections instead of sinus infections, dandruff and acne which persisted until I had Accutane at 29. Some of your food sensitivites are a bit puzzling, they sound more like small bowel dysbiosis than colonic dysbiosis. You might have an odd gut flora. 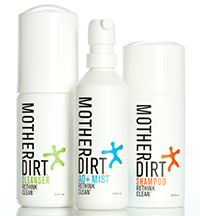 You might find a detoxification aid like charcoal, bentonite clay, or cholestyramine would help clear remaining acne. I would definitely take probiotics and eat fermented vegetables to try to improve flora. Anti-Candida treatments may be necessary to reduce systemic symptoms. I’ll have more in the Candida series. Thanks for the info Paul! I’ll have to try some of the detoxification aids. P.H.D. minus fruits actually reminds me quite a bit of the Body Ecology Diet for candida which I tried a while back. I was suspicious of carbs at the time and did it basically zero carb which was unsustainable. Maybe there was something too it though. Still prefer P.H.D. – more science and fewer strange rules. Thanks again! Candida does seem to love fructose, so I would recommend cutting fruits also in case of Candida infection. I still eat bananas and berries despite my Candida, but might do even better if I got rid of the bananas. They’re just too convenient / portable, and a good potassium source. Thanks, -. Wikipedia can be a great resource sometimes. funny how drs and society are telling us NOT to eat fat. cholesterol is the building blocks for our hormones too! Why can low-carb, or very low-carb, encourage, or be conducive to, Candida? p.s. lamb’s liver (I haven’t checked the others) has as much potassium, per unit weight, as banana, although it might not be as convenient, or as palatable, to everyone. Ketones are conducive to Candida, because it can metabolize them and ketones are water-soluble and diffuse into Candida cells freely, so they are a highly available food source even intracellularly. Very low-carb diets trigger ketone production to conserve protein, which would otherwise have to be converted to glucose via gluconeogenesis. Lamb’s liver is a great food, but you can only eat so much liver — due to vitamin A and copper toxicity, as well as palatability. I’m still reading and researching, and read somewhere (sorry I don’t know where) that when you are fighting candida then your body can’t effectively fight viruses. This might explain why my EBV titers remain so high. In researching candida, Paul, your diet is the only one to my understanding that encourages more carbs. Most say to eat 50 grams or less. If I am understanding this blog(and your book)correctly, you recommend up to 600 calories per day from safe carbohydrates. My symptoms (swelling hands, body pain, night sweats, weak legs, general feeling of being unwell) have been difficult, migratory and baffling to doctors. I have constant recurring fungal infections, for which I am now on a third 4 week course of Diflucan (150 mg once a week). The latest rheumatologist is now suggesting Cymbalta. I’m not going there. First, I’m not depressed, and second, this is most certainly an “off label” use for Cymbalta. He also recommended that I try Evista (a SERMS), which sounds also “off label), as I do not have osteoporosis. I do have low neutrophils, however. My next step is to be evaluated at the Hershey Medical Center in Hershey, PA just to be sure I don’t have something significant that doctors here are missing. HRT made me feel great, but I am getting a “little old” at 59 to take that, plus I continued to get recurring infections while on the HRT, despite the great results otherwise. I discontinued that after 10 months. The more I read, the more I think I may have Polysystemic Chronic Candidiasis. Your blog is helping me to understand it more. 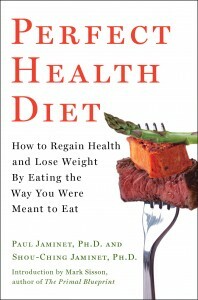 I have been Paleo since Christmas of 2010 and Perfect Health since I bought your book this April. My husband is flourishing on the diet. A couple of guys at work have asked him if he has found the fountain of youth (he is 59). Oddly, Paul, I feel like I AM healthy underneath all of “this”. This “something” with all of these symptoms, is keeping me from flourishing like my husband. For awhile I thought it was due to my high EBV titers, but after reading about candida and viruses and then these entries here, I’m convinced that I must continue with the Diflucan. I’m going to up my carbs somewhat (I was eating about 65% fat, 20% carbs, and 15% protein, but still getting vaginal fungal infections, so I’ll up the carbs a bit more). I’ll add the Primal Defense and Bliss K12 that you recommended as well, and hope and pray that this is it finally! I’ve been doing all of the recommended supplements,and have finally got the courage to up my Iodine(despite my hypothyroidism)by using your doubling technique. I’m up to 1.6 mg. Even though I was taking a probiotic, it appears I may have to find a higher quality one, since I am still getting recurring infections requiring Diflucan. I’m also taking charcoal each night before bed. Thank you so much for your continued work and most of all for your kindness. Perfect Health Diet is my last stop in the search for health. Is the candida series available somewhere? A lot of people could use your wealth of knowledge on the topic. The Candida series is still coming … as part of the “My Story” series which has a lot of parts. Great, can’t wait for this candida series as a lot of people in the Paleo community face this issue and you definitely know a lot on the topic. Hope it starts soon, in the meantime any links to good resources on the topic would be appreciated Thanks again! What do you think about this video and Dr Biamonte? Paul, do you still plan on writing the candida series? I do … but it will come after an obesity series and a few other things. More after I’m back from PaleoFX. In this Dave Asprey video that references Constantini’s Fungalbionic book series, it was interesting to hear that fungus causes cholesterol to go up, which seems to counter this blog post reverse idea that HDL/LDL promotes fungus. 22:20 Cholesterol goes up, because our body is fighting mycotoxins. Cholesterol binds these toxins. 22:46 statin drugs are anti-fungals. 23:18 Give an animal moldy stuff, cholesterol goes up, give them an anti-fungal and cholesterol goes down. Well, it’s fairly clear that systemic Candida will lower cholesterol, because Candida eats lipoproteins. Circulating mycotoxins may be a different story. They bind to LDL and cause it to be cleared by immune cells, so they increase clearance of LDL. On the other hand, the body may upregulate LDL production in order to more effectively clear the mycotoxins. So it could go either way. In broilers, mycotoxins decrease serum total cholesterol by 14%: http://www.ncbi.nlm.nih.gov/pubmed/22252351. I suspect a more likely pathway by which mycotoxins would raise cholesterol would be by inducing metabolic syndrome through liver poisoning. We know endotoxins can do that. However, I don’t see papers showing that mycotoxins do it. Although there’s in vitro evidence for antifungal activity by statins, they may not help in vivo: http://www.ncbi.nlm.nih.gov/pubmed/21554419. Perhaps they hinder fungal cholesterol production, but hindering human cholesterol production sabotages antifungal immunity. So, interesting observations from Dave, but I’d like to see references. I developed high cholesterol (numbers here http://paleohacks.com/questions/109204/ldl-cholesterol-doubled-from-pre-paleo#axzz1tk26Tke3) nasty fungal infection on my neck and possibly mild hypothyroidism (TSH of 3, no other signs) on a lower carb (50-200g/day) paleo diet eating lots of eggs, butter, coconut oil and doing intermittent fasting (although never in deep ketosis). Cured leaky gut and completely cleared psoriasis on this diet but the fungal rash is a concern. Reading your blog I have changed that week ago to a moderate carb (daily 1xrice, 1xpotatoes 4xfruits, 20g chocolate ) in 5 meals, no intermittent fasting, limited eggs, very restricted butter, no coconut oil. I am starting a day with a tea with honey to cut any ketones production. I am supplementing iodine and have liver once a week. Would you suggest any further changes to my diet in order to get rid of the rash? Any idea how long it may take to clear it? I am applying topically oxiconazole, clotrimazole, terbinafine, prednisolone, coconut and teatree oil without much success so far. Many thanks for all the information, it is truly an excellent blog. Thank you so much for this information. Trying to help my son with mitochondrial dysfunction/Autism fight off pathogens. So far since we have switched over to PHD, he has put on a few very much needed pounds Yay! But I do have a question regarding coconut oil. If coconut oil induces ketones which is conductive to candida, why do people use coconut oil to fight fungal infections. I’ve read that it is antifungal so many times that I was hoping that by using Coconut oil I would be killing candida along with bacterial and viruses. Can you please clarify this. I appreciate all your time and info. Love the book too. Hoping we can be a success with this diet and share with others in the autism community. Coconut oil is a mild antifungal, but olive oil (at least the ones that are rich in polyphenols) is a much stronger antifungal oil. That’s in the gut. After coconut oil is converted to ketones, the ketones become pro-fungal and promote systemic infections. Please keep me posted on how your son does. I’m very interested! Thank you for the reply. I will report back in a couple of months. Still trying to smooth out the diet. My holistic doctor says coconut is way to strong for many with complex auto immune conditions. Says to avoid coconut oil and products except in extreme moderation. Especially if you have leaky gut or SIBO. Too cleansing for many. She has seen many people relapse in symtpoms from using coconut. Use moderately. Not the health food it is touted to be, especially if you are eating a SAD diet.